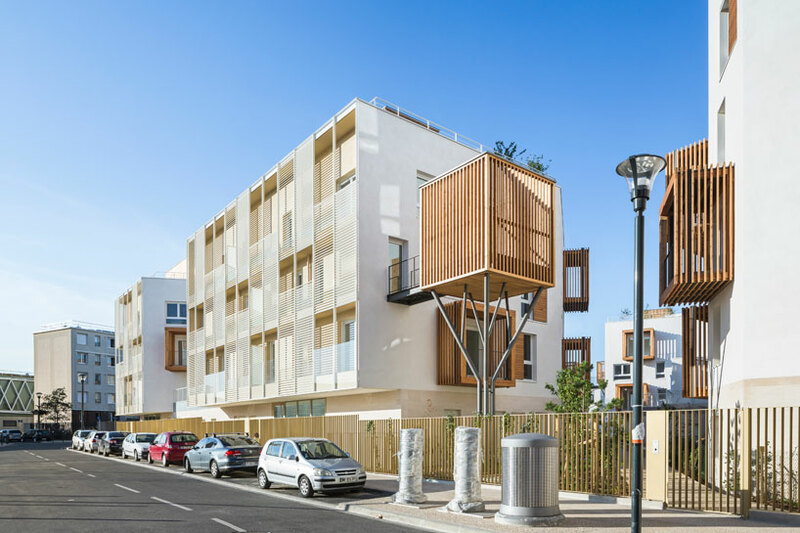 In a neighborhood in Romainville, a suburb of Paris, an apartment complex with individual communal spaces was designed to utilize space without eliminating the need for more than one area to gather outside of the home still on the grounds. 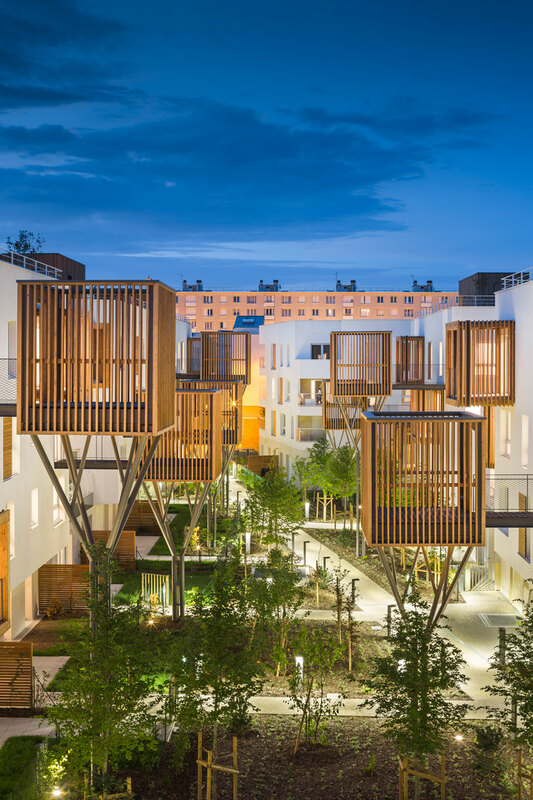 From below the areas resemble tree houses or bird cages with a contemporary and much more appealing design. The base of the design is a dark finish reversed Eiffel base like that of a tree trunk, while the top of the design is a square shape made of wooden vertical slats in a medium brown finish. The base of the outdoor gathering spaces blend in with the exterior landscape arranged beautifully with various species of trees of different heights and sizes. 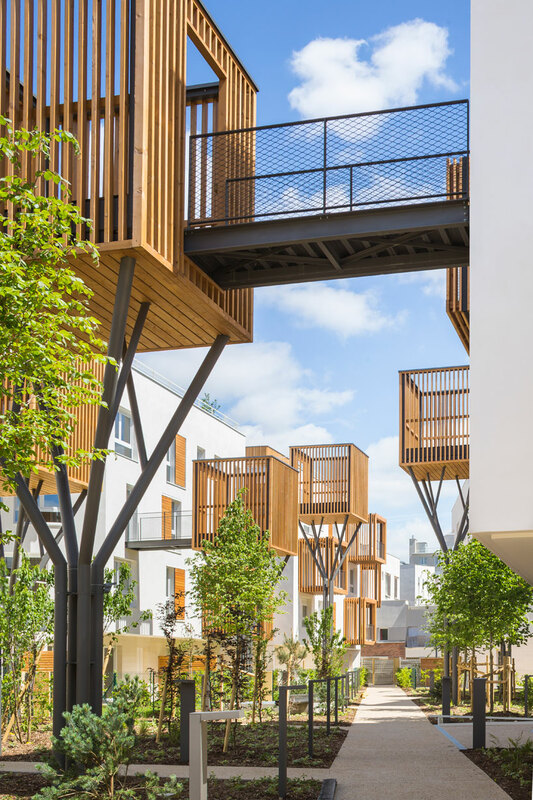 The balconies extend from the buildings with a path way leading from the apartments directly into the communal area residing above the gardens below. 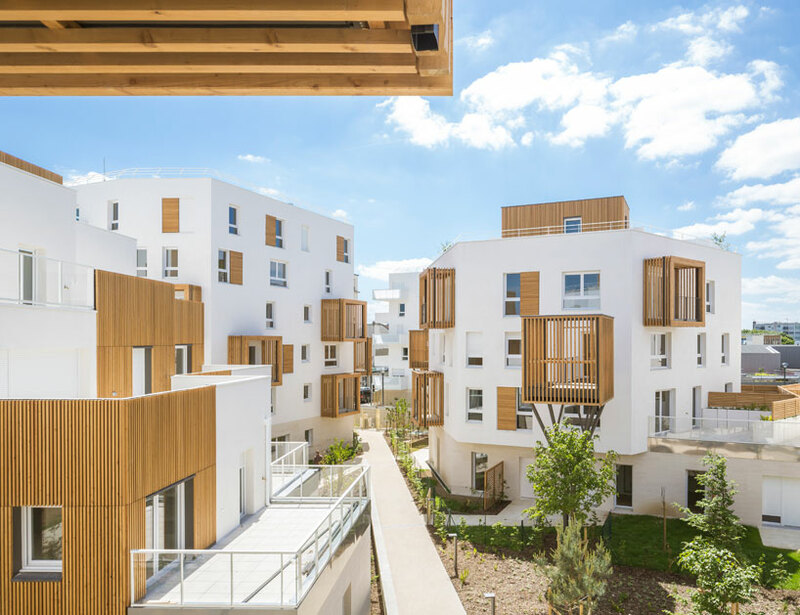 The project was commissioned by Bouygues Immobilier, a french real estate group, and was created to improve the aesthetics of the city block and the appeal of the apartment complex itself. 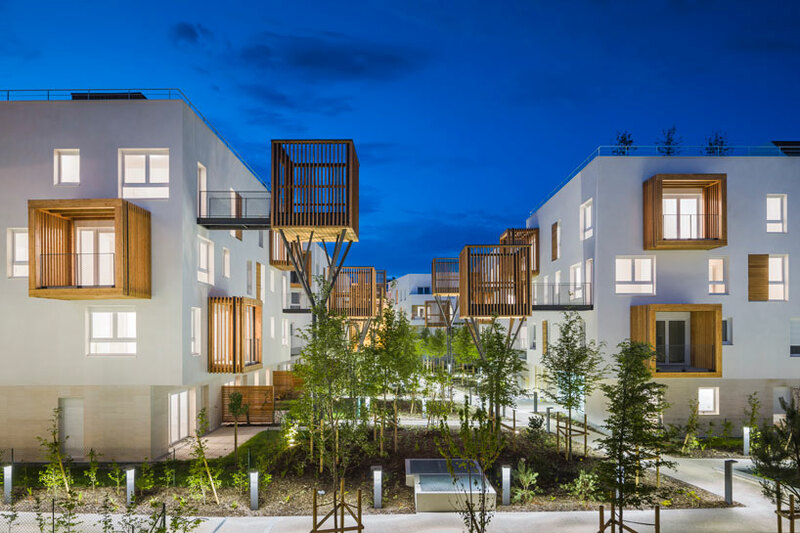 Ultimately, this design improves the perception of density and the beauty of the cityscape, not only for residents of the complex but also for pedestrians and other city dwellers as well. Residents will enjoy both the openness but also the individuality of each of the apartments. In an apartment complex, it is often challenging to create spaces that are both private and inviting at the same time. The design bridges the two in a way that will improve neighbor relations and give residents a sense of ownership at the same time, a need that many apartment dwellers and renters have.